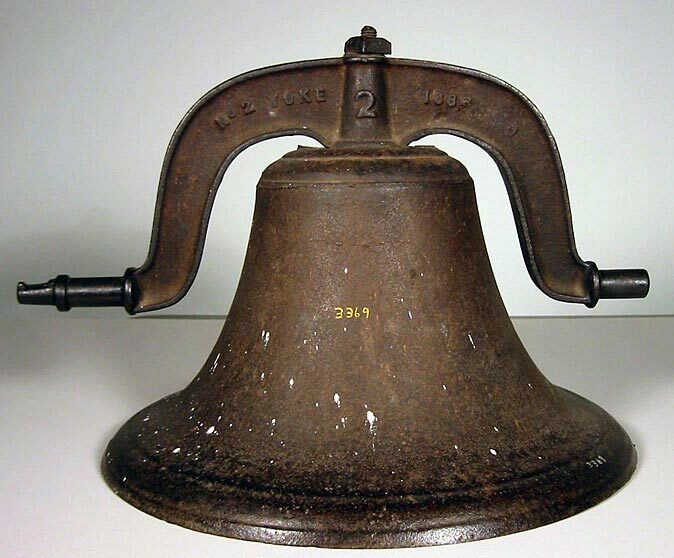 In the early 1900s, this bell was used on a homestead in Otoe County to call farmhands to meals. In the 1920s, it was used by WJAG radio announcer, and future Nebraska Senator, Karl Stefan to add sound effects to his noon report. WJAG radio of Norfolk was started in 1922 by the Huse family, and is one of the nation’s oldest radio stations. Bell from WJAG (NSHS 3369) Source: John W. & W.L. McAllister (at left). To find out more about the multitude of interesting artifacts held at the Nebraska History Museum, check out our website. Additional items from the collections are added to the online database on a continuing basis. For additional information about WJAG, see an earlier Nebraska History Blog post, as well as the Nebraska Radio Collection.